(Nashville, Tenn. – Nov. 6, 2017): SESAC Inc., the nation’s only music rights organization in the country, celebrated its songwriters and music publishers behind the year’s most-performed country and Americana songs at the company’s Nashville Music Awards held Sunday, Nov. 5, at the Country Music Hall of Fame® and Museum. Sponsors for this year’s event include Bose®and Sound Royalties. Warner Chappell Music was honored as Publisher of the Year at the event. In addition, SESAC was proud to recognize Michael Knox, vice president of peer music, for his notable accolades in recent years. Knox has produced more than 20 No. 1 hits that have resulted in more than 40 million singles and 18 million albums sold. He’s won multiple CMA and ACM awards, and produced some of country’s biggest acts, including Jason Aldean, Thomas Rhett, Montgomery Gentry and Michael Tyler, just to name a few. The awards ceremony kicked off with Old Crow Medicine Show performing a lively rendition of Bob Dylan’s “Rainy Day Women #12 & 35” to celebrate the 50th anniversary of the legendary album Blonde On Blonde. The evening also featured memorable ballad tributes to Kenny Rogers including “Twenty Years Ago,” performed by Lee Brice; “Lady,” performed by Craig Campbell; “The Gambler,” performed by Dustin Lynch; and “Don’t Fall In Love With A Dreamer,” performed by Kim Carnes and Andy Childs. Lastly, recording artist Billy Currington performed the SESAC Song of the Year “It Don’t’ Hurt Like It Used To.” Guest presenters included Billy Currington, Linda Davis, Jim Lauderdale, Dustin Lynch, Jon Pardi, Luke Pell and Hillary Scott. The festive event, hosted by Shannan Hatch, SESAC’s vice president of Creative Services, honored top songwriters and publishers behind the year’s biggest hits in the genres of country and Americana. SESAC is the only PRO that awards songwriters and publishers in Americana music. More than 500 songwriters, publishers and industry professionals attended the awards dinner, sponsored by Bose® and Sound Royalties. BLongSongs, Wordspring Music, W.B.M. Music Corp.
Hyper Hobby Music, Thunder Cookie, Fabulicious Music, Hatchoooo Music Publishing, BMG / Legends of Magic Mustang Music, Music of Platinum Pen, W.B.M. Music Corp.
Wordspring Music, W.B.M. Music Corp.
Skabetti Bowl of Songs Publishing, BMG/Legends of Magic Mustang Music, W.B.M. Music Corp.
Casa Del Amor Music, BMG/Legends of Magic Mustang Music, W.B.M. Music Corp.
PeteyBug Tunes, W.B.M. Music Corp.
SESAC Holdings is the only U.S.-based Music Rights Organization that administers public performance, mechanical, and other rights. SESAC Holdings is unique in its ability to offer singular licenses for the works of its affiliated writers and publishers that aggregate both performance and mechanical rights in order to drive greater efficiency in licensing for music users, as well as enhanced value for music creators and publishers. Its businesses operate on a sophisticated information technology and data platform to provide timely, efficient royalty collection and distribution.SESAC Holdings’ subsidiaries are some of the most well-known companies in music licensing and administration. SESAC Performing Rights is the second oldest and most progressive performing rights organization in the U.S. SESAC Holdings’ acquisition of the Harry Fox Agency (HFA) accelerated its transition to a “multi-rights” organization with HFA’s deep publisher relations and mechanical licensing history. Following the HFA acquisition, HFA’s administrative service business unit adopted the Rumblefish brand of its sister company. Rumblefish simplifies business for digital services, publishers, labels, artists and apps. Rumblefish’s transparent composition and recording administration, data and royalty management, licensing and network monetization allow clients to focus on their core business. Rights. Simplified. Royalties. Amplified. 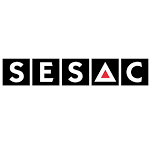 SESAC Holdings has offices in New York, Nashville, Los Angeles, Portland, San Francisco, London and Munich.